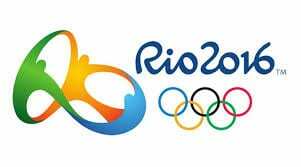 Today will mark the first official day of the 2016 Olympic games in Rio de Janeiro, Brazil. Rio had once been known as a city full of life and celebration, overlooked by the world famous Christ the Redeemer statue. It seemed as if Rio would be a wonderful place to host the celebration of athletic competition that the Summer Olympics are famous for. Now is a different story. Swimmers will be asked to dive into polluted waters for distance/open water swimming events, and waters near sand volleyball events have washed up human body parts. The main ramp for several boating competitions collapsed just days ago. Crime rates are high around the city, along with civil unrest and protests against a deteriorating government in transition. On top of this is the looming threat of the Zika virus that can cause not only flu-like symptoms, but life-threatening birth defects to unborn infants. All things that add stress to the athletes who are expected to perform at their peaks. Many athletes have chosen not to attend the games due to the combination of so many distractions and risks. While there has been much focus on the negatives and dangers faced in Rio, there is another side to this. Thousands of athletes from around the world will compete against one another on the world’s stage. For many, this will be the highlight of their career, and for some, the highlight of their lives. For the first time ever, refugees will be permitted to compete under the Olympic flag. For the first time in over a century, golf will be an Olympic event. Brazil has promised an opening ceremony that will confront the issues faced worldwide and ways to resolve them such as unity, conservation, and international cooperation and respect. It has been said that this will be a very political opening ceremony. Athletes will each enter the stadium with a seed, which will later be planted in the “Olympic Forest” to celebrate the games and demonstrate conservative efforts. Finding coverage of the Rio Olympics is not difficult, but finding positive coverage can be. It all depends on what side you are drawn to. It seems as if there is always more negative than positive to be found and discovered in the world. They say that generating positive vibes attracts positive vibes. I find that to be the case here at HG Logistics. HG is a third party freight broker based in Cincinnati, Ohio. We are often complimented on our positive and friendly attitudes and customer services. What’s the secret? Being positive generates positive outcomes. Looking at the seemingly disastrous Olympics this year through a positive lens can create a shift in what we are looking for. Even with problems and issues, looking for the best solution through a positive lens is going to yield better results than having a negative, “woe is me”, defeatist stance. HG Logistics solves problems every day. and by doing so with a positive outlook, we can assure a great experience for our customers and carriers. If you would like to work with a company full of positive thinkers, give us a call at 513-244-3026!